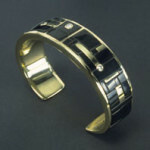 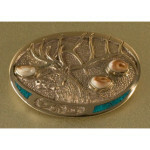 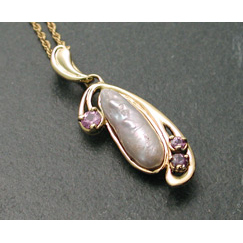 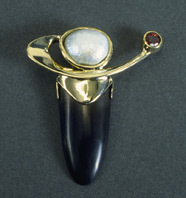 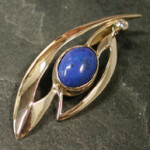 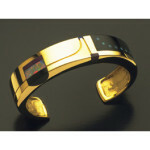 The Sundells created many unusual and distinctive gold jewelry designs for their delighted clients. 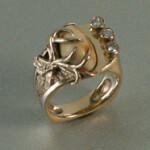 Here you see a few examples. 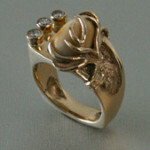 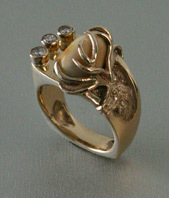 An asymmetrical approach can often be seen in their work, sure to attract notice and compliments. 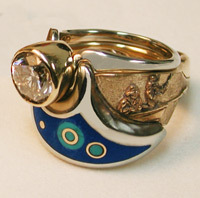 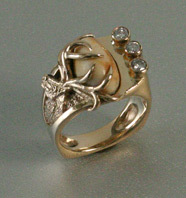 You can read the story of the creation of the Delekta wedding ring in the Fly Fisherman’s Dream Wedding. Each piece of jewelry created by the Sundells has its own story and reason for being. Many were planned to become family heirlooms. Contact the gallery to have a special piece of unique gold jewelry created especially for you.